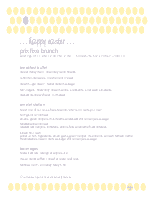 Five colorful tulips in orange, purple, yellow, pink and orange line the bottom of this page in this traditional Easter brunch menu. 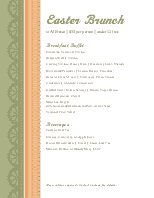 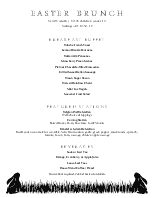 A thin green border surrounds the menu brunch listings on the 8.5 x 11 page. 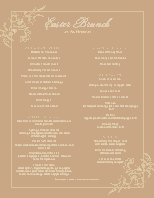 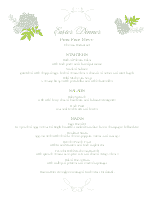 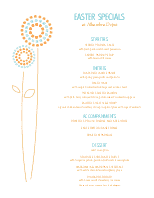 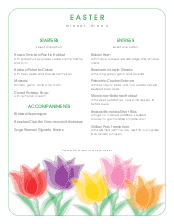 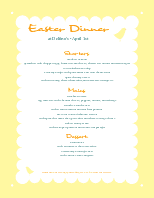 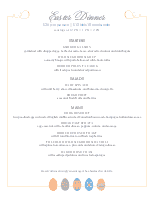 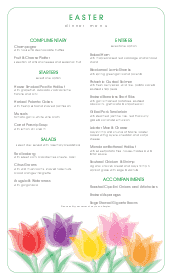 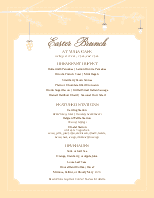 This Easter menu can be updated using the Menu Editor, our menu software.